T4ET 2011 – Apply now! Do you want to go further in the European Youth Parliament? Would you like to learn the very latest in group psychology, chairing and training? Are you interested in training others on what you have learned yourself? Are you one of the 24 people about to make a difference by becoming the backbone of the new pool of trainers? 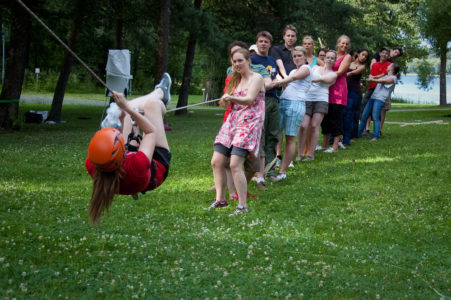 We invite you to apply for Training for EYP Trainers, 25 July–1 August 2011. Organised for the 2nd time, the Training for EYP Trainers invites experienced EYP alumni in Latvia for a week of learning the necessary skills to join the new pool of trainers. During the training, you will learn to competently and confidently plan, run and evaluate training courses in the EYP. The course is organised by the EYP Academy together with EYP Latvia. More information and application form at www.eypacademy.org.